Two venues in Amsterdam have been granted 24-hour licenses, a strong push for the Dutch capital to become a 24-hour city. As part of the Night Mayor of Amsterdam’s goals to boost the city’s economy, Nachtlab (Warehouse Elementenstraat) and Ven Amsterdam now have 24-hour licenses, which is exclusive to just seven establishments including De School, Radion, Tolhuistuin, DOKA, A’dam-Toren, Overkant and De Koning Party Events. 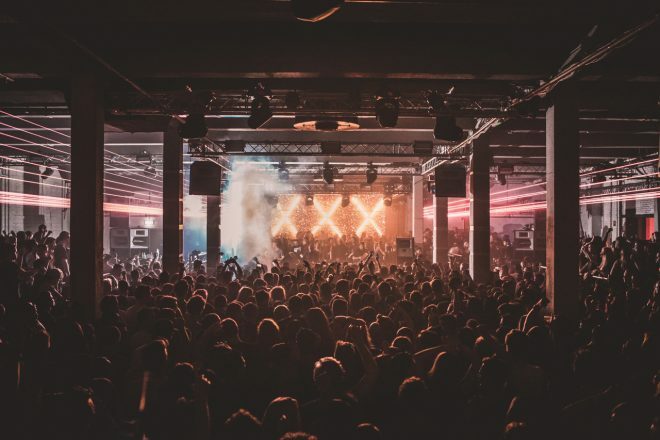 This is particularly great news for club-goers in Amsterdam, as Nachtlab includes the Warehouse Elementenstraat, a 2,000 capacity space that’s home to the wickedly popular techno event Hyte (pictured above). On the other hand, Ven Amsterdam, a 45,000 sqm complex consisting of hotels, a casino, fitness centre, restaurant, social spaces and rooftop bar, now hopes to be able to become the “24/7 mini city centre” it always planned for. These venues will be able to open when they so choose. Expect more news on upcoming events to follow. Read about how Amsterdam is now Europe's new club capital.